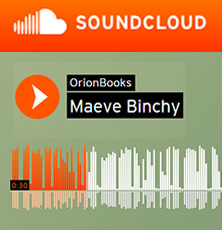 Carole Baron, Maeve Binchy’s publisher in the USA, explains why Circle of Friends is her favourite. 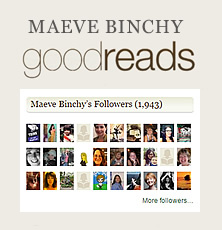 I first encountered Maeve Binchy when I read her debut novel, Light a Penny Candle. Later, we met at the Frankfurt Book Fair and that meeting proved to be the beginning of a long friendship that lasted the rest of her life. After that we would meet in London or in Ireland or during those special visits when she came to the United States. I published the U.S. paperback of that first novel and then the second, Echoes; thereafter, I published her in hardcover and paperback for three decades. Editing and publishing Maeve was pure joy for me, and she became a loyal, wise and generous friend as I watched her readership and popularity grow and grow. It emerged that she and I were at university at the same time on different sides of the Atlantic: she went to UCD in Ireland while I was at U of M in Michigan. We had many of the same kinds of encounters with friends – and not-such- good friends – so I felt especially close to her. Her point of view, her characters, their experiences: her stories were universal. She may have been writing about Dublin, but I felt she was writing about my hometown, Detroit. There is good reason that Americans adopted her, as did the rest of the world making all her books international successes. Although her books did well enough early on, it was Circle of Friends that put Maeve’s books into the Big League of Bestsellers in the USA. I’d always felt that every time I read a story or a book by Maeve I got to know her a little bit better. She insisted that she never wanted to write a memoir: She didn’t think she owned her childhood, her family, or her experiences. But with Circle of Friends, believe she managed to sneak in a lot about herself, and in a funny way, the reader knows this. She would sometimes tell the story of how, when she was a teenager, she had gone to a dance full of hope and expectation. It hadn’t been a success and no one danced with her, but when she came home her loving parents wanted to hear all about it. “I told them it had all been absolutely marvelous. I couldn’t bear to disappoint them, you see, so I made it all up and described everything in glorious detail.” And with that, a storyteller was born. With slight changes, you can find that dance in Circle of Friends, but filled with her own observations and embellishments. There is so much of her in the book. Circle of Friends endeared Maeve in a special way to American readers, and a bond developed between them. 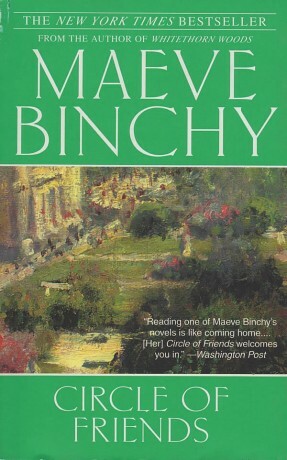 After all, it was at this time that Barbara Bush, wife of President George H. W. Bush, said that Maeve was one of her favorite authors and invited her to the White House. Whenever I pick up Circle of Friends to reread even a chapter here and there, I am comforted and amused by meeting up with Benny; Eve, her best friend; and then her extended circle of friends, especially Nan and Jack. And above all, I feel Maeve is in the room with me. 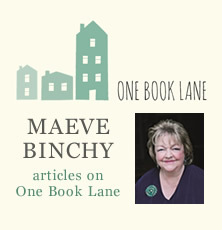 Christine Green, Maeve Binchy’s agent, explains why her favourite is the first novel.